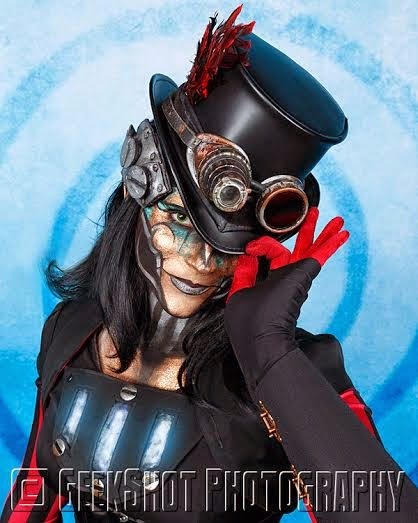 For our very first interview, we are delighted to feature Isabella "Bunny" Bennett of San Diego, CA, whom many of you will know from the popular band Steam Powered Giraffe. In addition to her mad skills as a songwriter/singer/performer, she is also a gifted illustrator and writer. We will be featuring videos and images from her all week-long on our facebook page. I guess I'm a big nerd and geek at heart. And the most down-to-earth person with their head-in-the-clouds I know! When I was a child I read War of the Worlds by H. G. Wells. The imagery of the Martian machines was so inspiring, and yet I had no words to describe it. I always enjoyed it as an aesthetic in movies and around 2008 when it really started taking off, that's when we started doing the Steam Powered Giraffe robot act. I chose to make my character the industrial revolution sort of robot. Steampunk to me is an artistic aesthetic. It drums up so many themes of sci-fi, technology, and Victorian romanticism, and for some reason that seems to really capture people's imaginations. Please give us an insight into one of your creative processes. Showering is surprisingly where a lot of my ideas begin; be it a song or an illustration, or a story- it probably began while washing my hair! Who or what inspires you? Inspiration is sort of that universal symbiotic relationship we have with each other, yeah? It's a give and take from other humans. Everyone and everything is game. I'm just sure to experience as much as I can to fuel it! Please tell us about one of the projects you're working on. I'm currently working on a children's book called "Pudding Bat's Big Night Out." It's a cute little spooky story about the importance of patience. It should be out for October 2015. I always say- there is no wrong way to Steampunk. Spray paint that milk carton or build cardboard armor. Wear goggles even if everyone is already doing it. Don't let anyone stifle your creativity. It's your imagination. 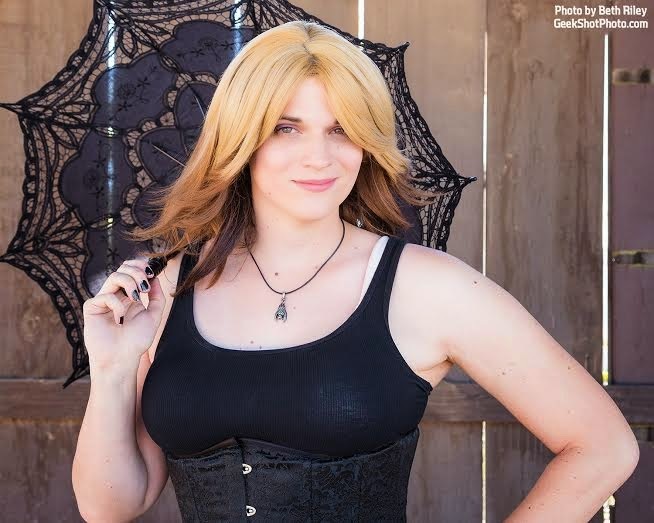 I'm very grateful for the Steampunk communities I have interacted with. Going out to events, art shows, and concerts is always such a pleasurable experience and I look forward to sharing those moments with everyone again and again! That song brought tears to my eyes. I hope she knows how much we love her. It is the worlds views that need transformation. You are perfect and beautiful just as you are. ANY way you are. Thank you for the lovely song. I'm in tears, too! We love you, my dear, just the way you are. Beautiful song. I now only wish everyone would receive that message with understanding and love.